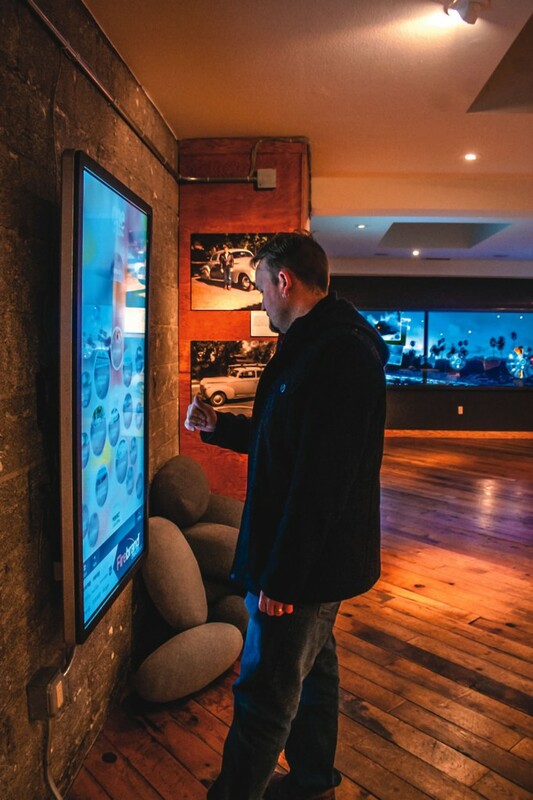 A new interactive media center showcases Laguna Beach, helping both visitors and locals explore all that the city has to offer. Since its founding in 2006, Firebrand Media has proven itself as a formidable pioneer when it comes to building and nurturing professional relationships between businesses and consumers through its publications, digital platforms and marketing solutions. Firebrand produces Laguna Beach Magazine and the Laguna Beach Independent newspaper among its many periodicals. With the creation of One Laguna, a special center that utilizes the finest in interactive multimedia technology, Firebrand has harnessed its visionary skills once again by providing the perfect place for locals and tourists to visit, plan trips in the area, discover and learn about Laguna, or simply hang out and have fun. For Firebrand Media Chairman Allan Simon, the idea to create an interactive community center came about with the vacancy of the building he owns at 225 Forest Ave., which sits just a half block away from Pacific Coast Highway. The area’s popularity is due to the considerable amount of foot traffic from both tourists and locals, especially during the summer. 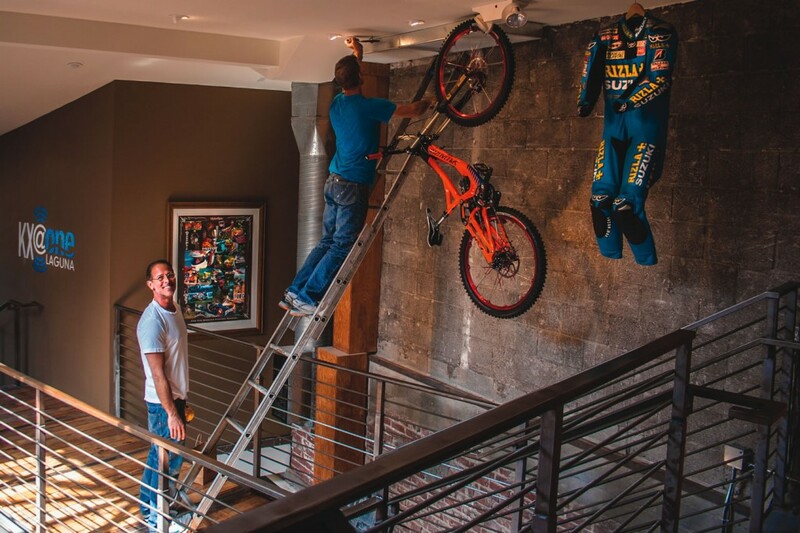 Allan recognized the potential this location might have when it comes to helping his fellow Laguna Beach business owners. The answer soon came for Allan: to create a special resource center for the community that places not only technological resources at their disposal but also serves as an attractive and fun place where they can socialize, learn about the local businesses and historical areas in Laguna, and use the technology to plan their entire day. 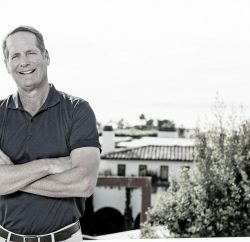 After gaining unanimous approval from the Laguna Beach Planning Commission in August 2013, the next step in designing One Laguna was to combine the best in Laguna Beach content—historical and consumer-based—with the most advanced interactive technology that is both easy and enjoyable to explore. Within only six months, the center moved from concept to reality, opening its doors to the public in February and celebrating its launch in March. Interactive screens help visitors learn about Laguna. Up to 32 fingers can simultaneously tap on the Big Board, composed of two 84-inch, ultra high-definition screens. 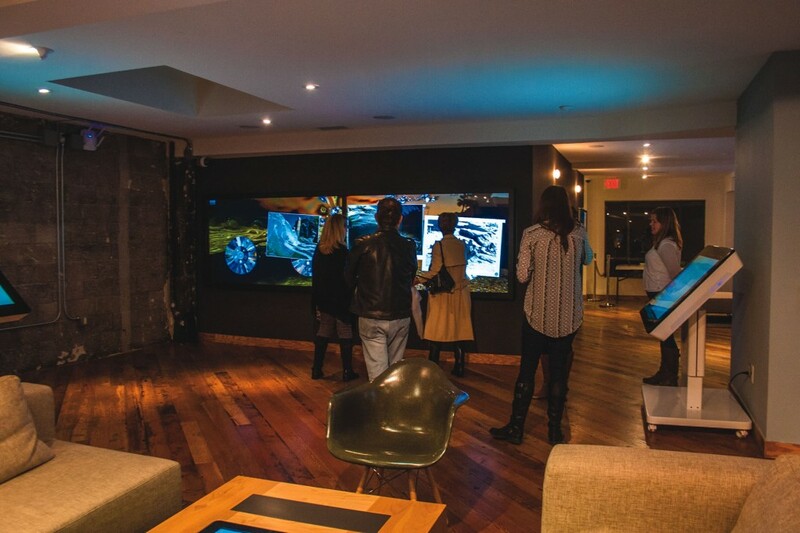 As visitors enter the spacious building and walk upstairs to the mezzanine level, they will discover one of the four 55-inch touch screens, which display different areas of interest. The technology, branded “Perfect Laguna,” helps guests explore a variety of stores, galleries, restaurants and lodgings, if they are staying overnight, as well as beaches, hiking or biking trails, and other outdoor activities. Each listed business entry has colorful images, detailed descriptions of its history and services, and maps to help guide users to their destinations. The crowning touch of Perfect Laguna is that guests can create an account, select their favorite places they want to go, add that information into their account and the Perfect Laguna technology will create a PDF of their itineraries, which will either be sent to the user’s smartphone, or the schedule can be printed out at One Laguna. As guests continue making their way upstairs, they will pass the sound studio for a new, online-only radio station [email protected] before reaching the second floor, where they will not only see the remaining three Perfect Laguna screens—as well as the six small tablets mounted on metal pedestals that serve the same purpose as Perfect Laguna—but also the 13- by 4-foot Big Board dominating the main wall. Composed of two 84-inch, 4K (ultra high-definition) screens that are connected and covered with a 32-point touch screen (meaning that a maximum of 32 fingers can tap on the screen at one time), this centerpiece offers guests hours of fun viewing various nature and scenic photos of Laguna, as well as archived photos of historical landmarks, each with background information and photo credits. 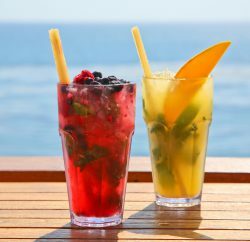 Guests can also watch high-definition videos of key locations and activities around Laguna Beach; some of the footage includes underwater video taken by the Laguna-based MacGillivray Freeman Films, known for its large-format movies including “Everest,” the highest grossing Imax documentary to date. Also in the main room and the Social Lounge are two 46-inch centerpiece tables, which, in addition to showcasing content from Perfect Laguna, feature interactive maps that highlight historical information and landmarks in the city. These “map” tables can have their heights and angles adjusted according to the user. Two 32-inch, high-tech coffee tables—with built-in hidden Bose speakers—also provide an entertaining interactive experience for the user. As they sit down on the comfortable sofas and drink their coffee, visitors can use the touch screens to browse local art as well as Laguna-themed photos and videos from local photographers and filmmakers. Visitors can take photos for virtual postcards at One Laguna to send to friends and family. Once guests stroll into the Social Lounge, they can occupy themselves at the two 55-inch mounted touch-screen monitors, which offer the opportunity to share their One Laguna experience with others. 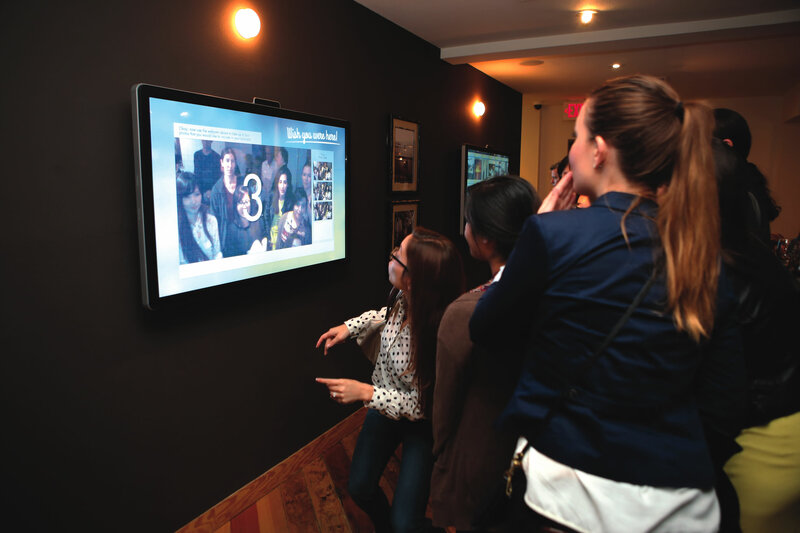 The first screen, called “Wish Were You Here,” gives users the opportunity to pose for pictures, or “selfies,” in front of the screen, and then create a virtual postcard that guests can email to their friends and family. The second screen is the Social Wall, which collects and displays live feeds related to Laguna Beach from social media platforms like Facebook, Twitter and Instagram. Laguna College of Art & Design runs an art gallery on the ground floor while the technology space is upstairs. Crews install items for the Troy Lee exhibit—one of several highlighting businesses and interests in town. 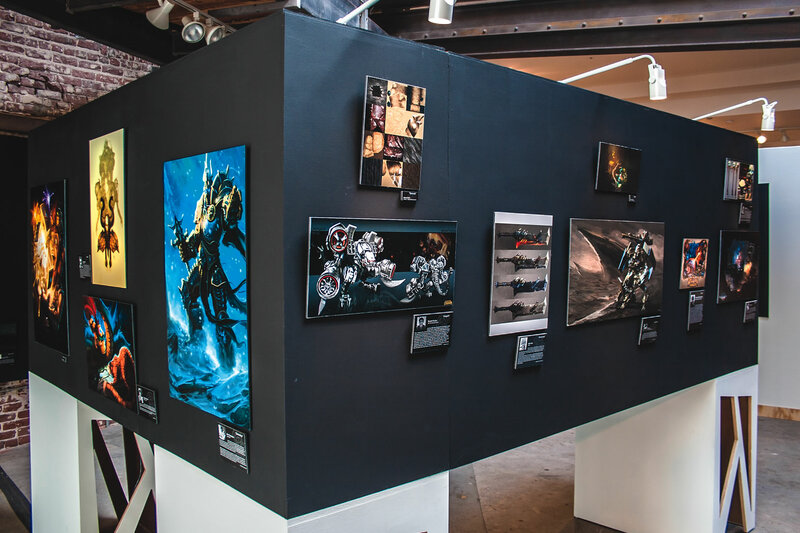 Guests instantly get a taste of all three as they walk through the glass doors of One Laguna and first encounter the art gallery whose ground level space was donated to the Laguna College of Art & Design (LCAD). College President Jonathan Burke praises One Laguna and the opportunities it gives to his students and the community. Guests will continue to be engaged as they walk upstairs and take in the hip, city-loft interior design of the One Laguna level, which features exposed brick walls, iron beams, polished hardwood floors, skylights and a subtle mix of jazz, blues and other contemporary music enhancing the center’s welcoming atmosphere. 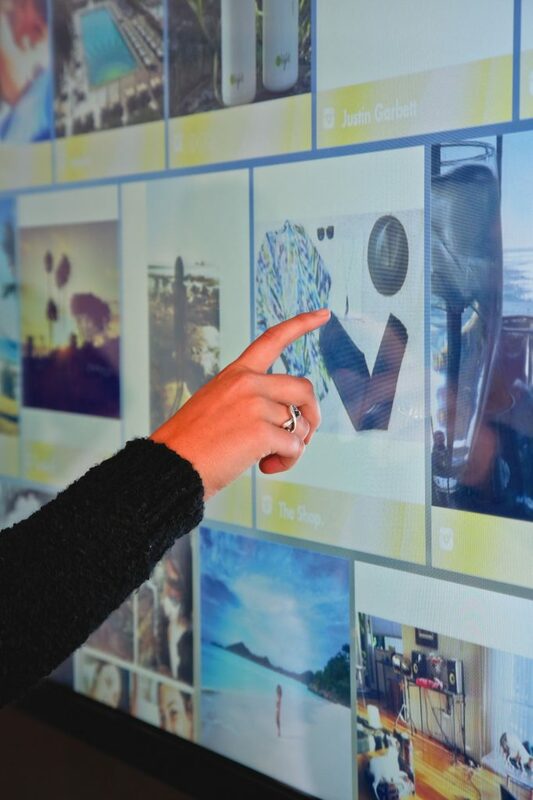 As visitors play with the Big Board, the Social Lounge screens or congregate around the coffee tables looking at historical photos or dynamic, point-of-view mountain biking videos, more and more local businesses around Laguna Beach are getting increased exposure through the technology One Laguna offers. As Firebrand Media CEO and Editorial Director Steve Zepezauer points out, One Laguna not only helps businesses, but also serves as an excellent community companion to the Laguna Beach Chamber of Commerce and Laguna Beach Visitors Bureau. All the creators of One Laguna agree that the center is an ever-evolving project that will continue to grow beyond expectations. Many future plans include developing a heightened real estate showcase, where local agents and their listings can be featured with colorful images and videos. 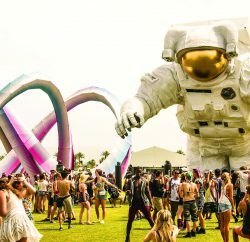 Another is to create the option to purchase tickets to key Orange County events and venues, like The Laguna Playhouse, Pageant of the Masters, Segerstrom Center for the Arts and even Disneyland. Ideas regarding video production and broadcasting are also in the works. There is also OneProgram, which is, according to Firebrand Media Chief Technology Officer Scott Sanchez, a key plan that would benefit both consumers and local business owners. “[It’s] a virtual punch card … [where] you’ll generate points and those points can be redeemed at participating merchants,” Scott shares. 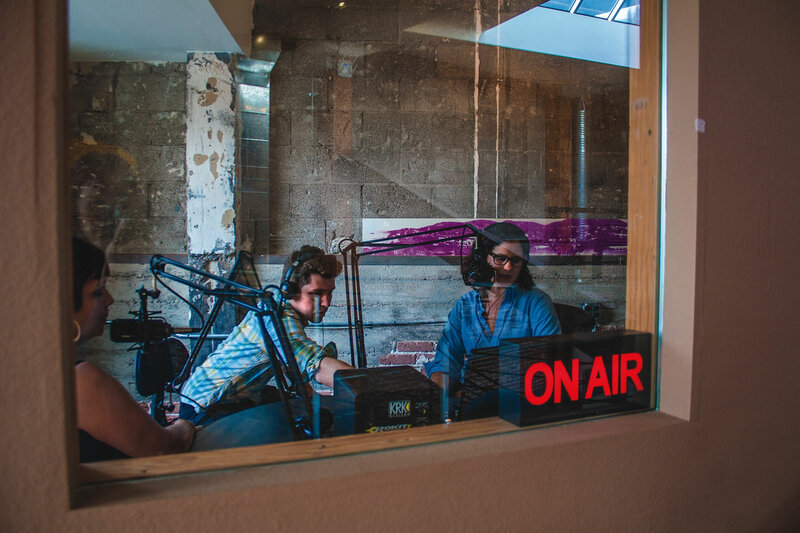 In addition to resources for shopping, dining, playing and staying in Laguna Beach, the interactive One Laguna center provides a home for [email protected], a new online-only radio station, which is a collaboration between Firebrand Media and Laguna-based radio station KX 93.5 FM. Known for playing generational alternative rock—1980s, reggae, folk and current indie music—KX 93.5 will create a special format for the station: Orange County-related talk radio. Some of the confirmed programs will include a psychology show hosted by Dr. Ari Grayson, a book review show hosted by Randy Kraft, a yoga show hosted by Sara Vogel, a spoken word/poetry show hosted by John Gardiner and a talk show with locals by Laguna Beach Magazine editor Alli Tong. Tyler Russell, program director of KX 93.5 FM, believes these programs will have a wide appeal to community members. “We’re targeting a more intellectual, global audience on the new station and playing with the term ‘smart talk,’ ” he says. [email protected] is available for streaming at onelaguna.com and KX935.com. The overall programming will be fully operational 24 hours a day, seven days a week. During the times that the talk shows are not on the air, diverse music such as jazz, blues and classic oldies will be played.